This is a well-written sensual read with lust then passion coursing in the veins of Thérèse and Gérard both. That itself was most entertaining including much humor provided by our heroine. However, it was much more, set in a time where men did mad things to each other. With raised eyebrows I must say man hasn’t changed–only place and time has. Long before becoming the flamboyant courtesan known to men as Madame de Maitenon, Thérèse Angelique Bouchard, dreamed of becoming an actress capable of commanding not only the stage but all of Paris. Until she meets an extraordinary aristocratic gentleman who sweeps her into his arms and the danger of his life, while offering her the sort of wealth she never imagined. What starts off as a seductive alliance, ends in her giving him the one thing she, as a mere bourgeoisie, cannot afford to give: her love. 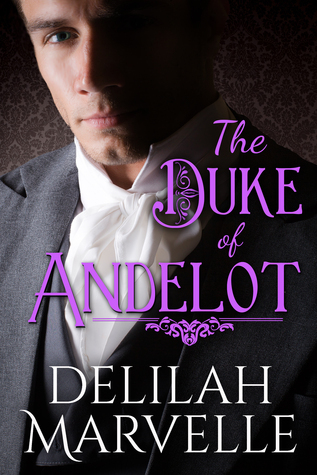 After the murder of his older brothers, Gérard Antoine Tolbert, becomes the last heir to the powerful dukedom of Andelot, leaving him to fight for not only his life, but the allegiance he holds for the crown. During the final rise of the French Revolution that whispers of the violent change about to shake the entire country, Gérard meets an aspiring actress who introduces him into wanting more out of himself and life. In trying to protect her from their overly passionate alliance and those that want him dead, he must decide what matters most: his life or his heart. My Thoughts: Passion aside, this is a very intense read with a lot of powerful emotions that keep slashing at you until you find you become as angry as the hero. The author did a superb job developing story on two fronts: expressing the aristocracy point of view and fear during the French Revolution and making us painfully aware no one side of a conflict can be painted with the same brush. That is to say, evil and good exist on both sides of a conflict. I was figuratively brought to my knees by the horror, fear, intrigue, passion, love and evil found within the characters in this read. I was present and saw it all. Gérard Antoine Tolbert, son of a duke, could not accept the injustice of French Revolution. As we would say today, it was like throwing out the baby with the wash water. There were good people among the aristocracy as well as bad. Gérard was about taking care of the unfortunate and the underprivileged. So when his brothers were killed for no justified reason but because they were part of the aristocracy and by an idiotic gang of imbeciles all for fraternité, equalité, and liberté. Did they even know what it meant? When was killing innocent men part of furthering the cause of fraternité, equalité, and liberté? The attackers were part of the monster without a head. The revolution had turned extremely ugly. It was not those things they fought for. It was revenge and seeking power. And so, my dear reader, the wheel turns. Those at the top find themselves sliding into muck and those from the bottom rise to the top. In the midst of all this insanity while Gérard, dressed as a bourgeois, is on his way to save his Majesty, he stumbles upon a young girl, Thérèse, on the road travelling to Paris. She’s beyond beautiful. She was on her way to Paris to improve her lot in life joining her brother’s small theatre as an actress rather than take care of her 10 brothers and marry some man who couldn’t keep his hands off her. Gérard ironically, stunned by her beauty, could not keep his hands off her. They both were exceedingly handsome people. Gérard provided the means for Thérèse to move into Paris in style, for he still had friends in high places and favors owed along with a lot of money. He suggested she use her skills to aid his cause – to keep as many people from the guillotine as he could. Thérèse was much the pragmatist. When he promised her so comfort, wealth and position within an excellent theatre, she could only agree. I loved this read because it called to me on so many levels. The continual beat of war drums kept the story fast-paced, placing us right in the middle of great unrest and built to a crescendo having me just shaking my head in sorrow. Can such love between two people be denied? Will distance and time dash it to dust? Don’t deny yourself this glorious read. In the Author’s Words: Bio data at GoodReads “I spent my youth studying various languages, reading voraciously, and playing the pianoforte. I confess that here ends the extent of my gentle breeding. I was a naughty child who was forever torturing her parents with countless adventures that they did not deem respectable. Confined to my room on many occasions due to these misadventures, I soon discovered the quill and its amazing power. I scribed endless stories that almost invariably surrounded the topic of love, for I felt an inane need to be rescued from a family that did not understand my lust for life. In my mind, King Arthur became my true love and I waited for the day when he would come riding upon his steed and invite me to sit at his round table, not as his queen, but as his knight. To my distress, King Arthur was never to be found anywhere except for in the tip of my quill. And so I led an imaginary life for many, many years. When I finally came of age, my family was further horrified to discover that I had fallen in love with an American. An American King Arthur who became my knight, my husband, my all. I have been blessed beyond reason and am grateful for each day I have with him. 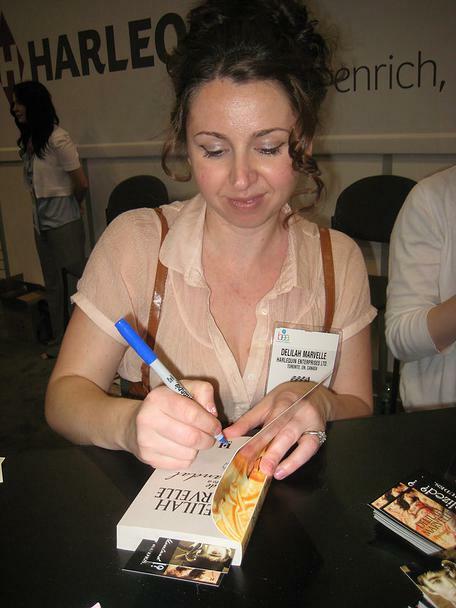 This entry was posted in Book Reviews, Historical Fiction, Historical Romance, New Book Release, Romance, Suspense, Women's Fiction and tagged Book Review, Delilah Marvelle, French Revolution, historical romance. Bookmark the permalink. Excellent review, Eileen. So pleased you loved this as much as I did. I thought Delilah conveyed ll the turbulence and brutality of this period in history so well. This author’s series sure went out with a bang! I haven’t read this one yet. Next on my list. great review. Delilah is a delight. Thanks for dropping by Angelina. Delilah didn’t disappoint at all with this series. They only seem to get better!